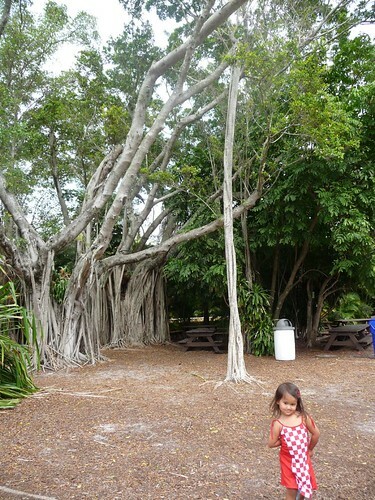 Mali Mish – Day 71: West Palm Beach Zoo. 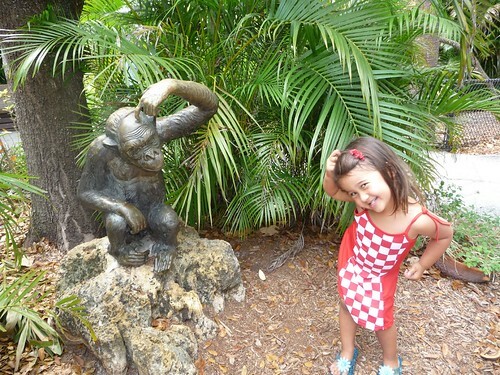 Day 71: West Palm Beach Zoo. 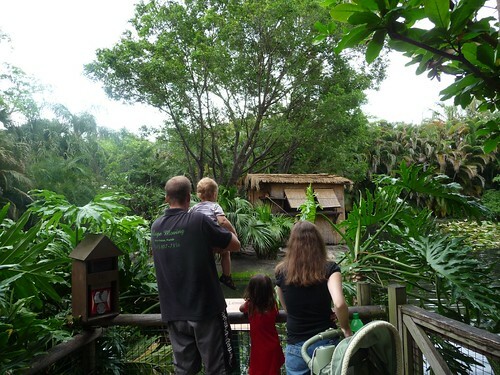 Today we needed to head out of Lion Country Safari and start making our way towards Orlando. But not before Dan finally removes the spare tire and puts the new one back on. No more mismatched rims. Yeah Dada! And for all of his hard work, we treated him to our favorite Florida chain restaurant. 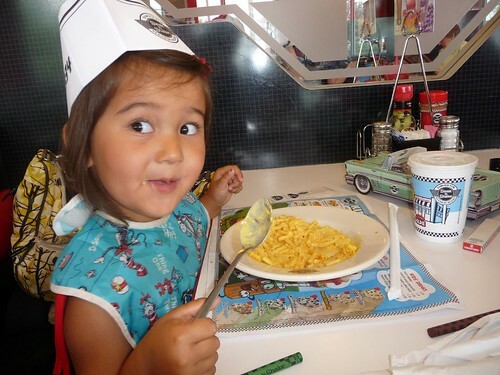 The Steak ‘N Shake. Ahh yeah. We can’t be the only ones addicted to their burgers, can we? This is our second zoo so far on our road trip. 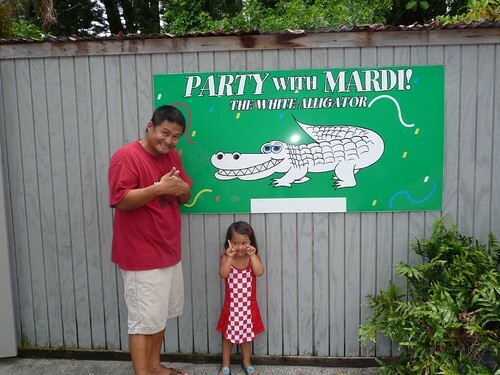 Our first one was the Miami Metro Zoo where we ran around like chickens with our heads chopped off in order to meet Diego. This one was more our speed. Lots of animals and easy to tackle in a couple hours. 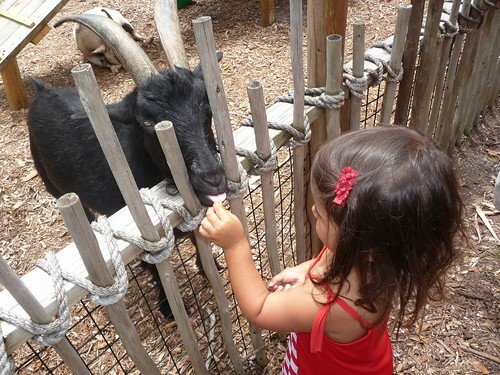 They have lots of smaller animals, a petting zoo and couple tigers too. 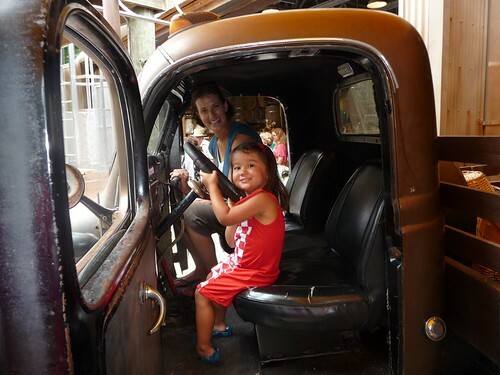 I’m not sure if my kid has more fun observing the animals or enjoying the non-animal attractions at the zoos, like sitting in trucks. 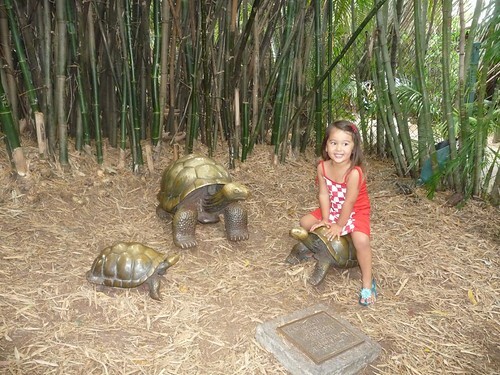 And posing on fake turtles. What a silly little monkey. I’m not sure what type of tree this is but check out that root thing off to the side. Can you say humidity? It looks like a waterfall! 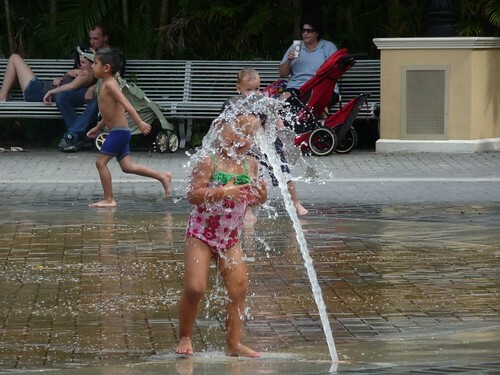 Florida has tons of splash areas for kids. I have been caught off guard a few times, but not today. Today I was prepared with Ava’s swimsuit. Yeah for me! Or better yet, yeah for Ava! Ava pretty much walked the entire zoo and then had enough energy to run in the water. One of the fountains got her right in the face. If this happened in the bath tub, she would be screaming bloody murder. But this was a splash area and it didn’t bother her one bit. Funny how that happens! 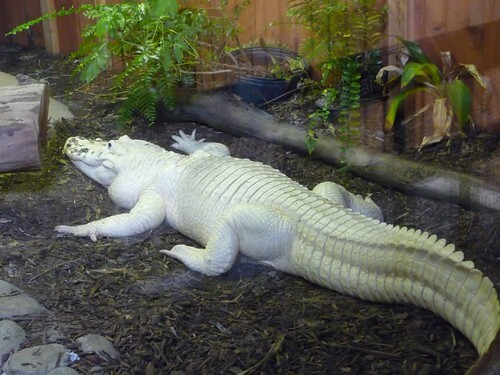 The most unusual animal of the West Palm Beach Zoo is this White American Alligator. Sure, I bet you’ve seen plenty of albino animals in your day. But this no albino, my friend. This is an alligator with a rare genetic mutation that makes his skin white and his eyes blue. I wonder if you turned off the lights, if he’d glow in the dark too ;-). After the zoo, we drove around to find a place to eat. And drove. And drove. Until we gave up and settled on IHOP. Just as we were driving in, some dude parks his Cadillac in the middle of the entry way and waddles out of the car with a newspaper in his hand. 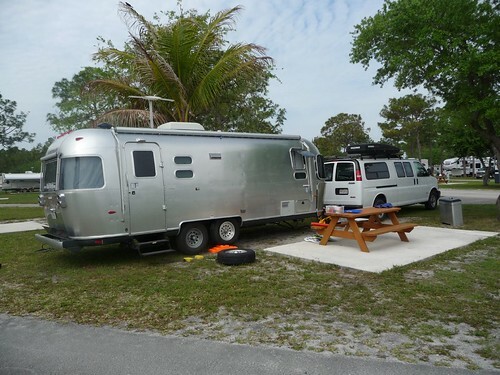 Dan immediately rolls down the window to ask him if he could move his car since he was blocking the entry of the parking lot… and there was no way we could even squeeze the van by him, let alone the Airstream. After some confused looks on the dude’s face, he finally moves his car into the actual parking lot and continues to waddle into the restaurant. I know he had to go to the bathroom real bad but why block the entire entrance of the restaurant? Well anyways, I hope we didn’t make him sh*t his pants. 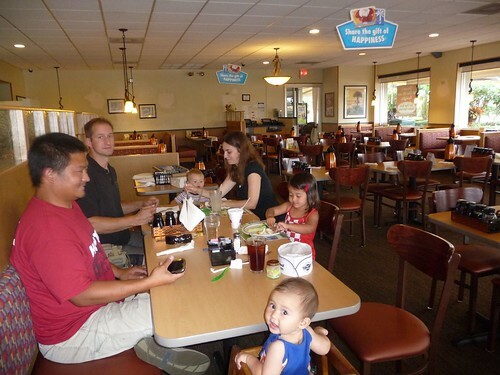 As you can see above, we were the only ones at IHOP for dinner today. It was very strange to have the whole place to ourselves. (Not including the dude in the bathroom, of course). 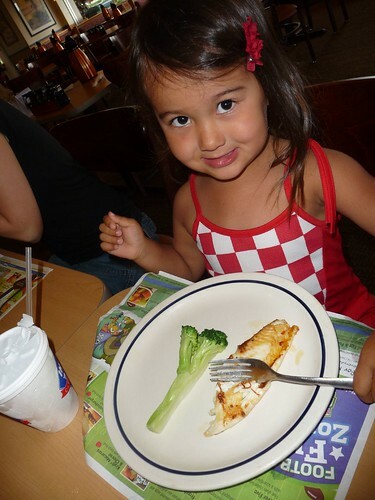 And when Ava’s fish and broccoli arrived, we were shocked to see the portions. One tiny stick of broccoli. Are you kidding me? Tough times, I guess. 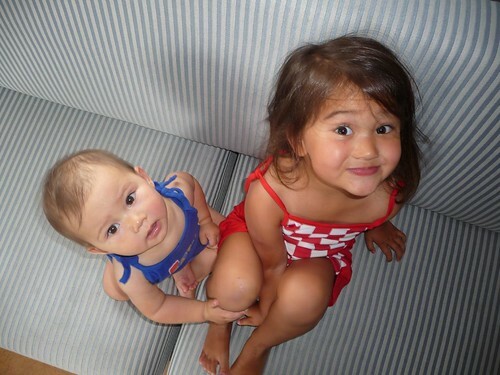 Before we knew it, it was time for Ava and little Ethan to say good-bye for a long time. I wonder if these two will remember all the fun they had together. I guess that is one of the reasons for this blog. Because don’t look at me or Dan! We can’t remember anything. 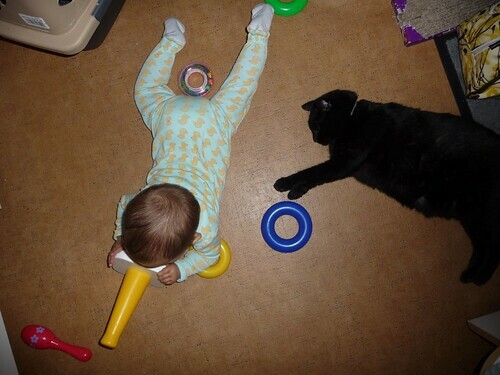 We spend most of our days like this: What time it is? California time or this time? What day is it today? Do you have to any meeting today? What did we do yesterday? No joke. It was finally time to say bye to South Florida and head into Central Florida. Orlando, to be exact. 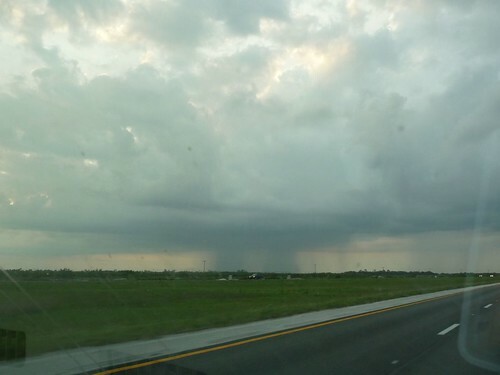 Where a nice little thunderstorm was brewing. And once we found a nice spot in an Orlando Walmart parking lot, it was not quiet blogging time as usual. Nope. Mila decided it was play time. At 11pm. And nobody could be happier for some company than Yoda the cat. Hehe. Day 70: Lion Country Safari. Day 72: Fort Wilderness Resort and Campground.